From the deep recesses of my over-tired brain comes - Alien Jar Babies! These little creatures have a faces only a mother could love. 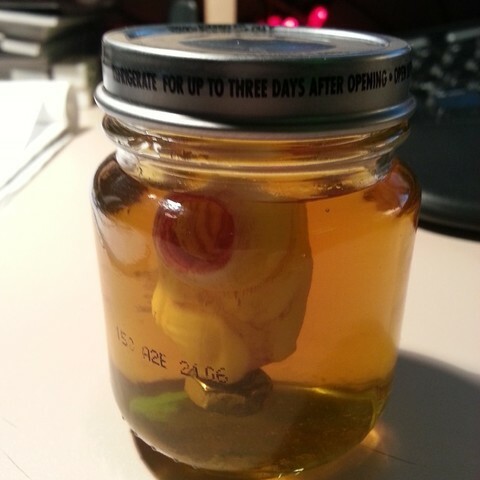 The idea was to create a wierd little fetus thingy that would live in a jar of "formaldehyde". This is the 1st one in a series that we're working on. Ignore the bolt on his bum, he needed to be weighed down and I didn't have any lead around. These look sooo much cooler in person. Real gross and creepy, can't wait till we've got a row of them done. Thanks to Kenzo for the great model! 1) The alien is split in 2 for easy printing. 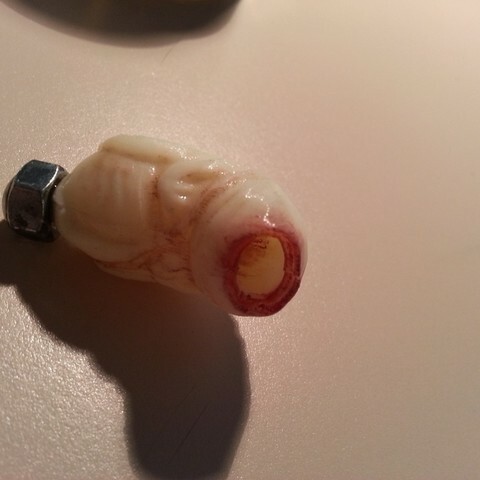 Once printed, I hollowed out a bit of a cavity for some lead to weigh him down. 2) Then I used a bit of modeling paint and aged him a bit and painted his "mouth" red. 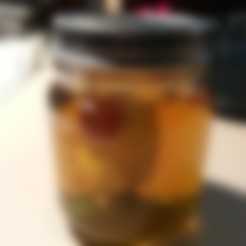 4) Insert baby into jar.